His Excellency Prime Minister Dr. Haider Al-Abadi has received, in his residency in Kuwait, High Representative of the EU for Foreign Affairs and Security Policy. Vice President of the EU Commission Federica Mogherini and her accompanying delegation. Mogherini has confirmed the EU's full support for Iraq in all fields, especially in the Reconstruction of the country. 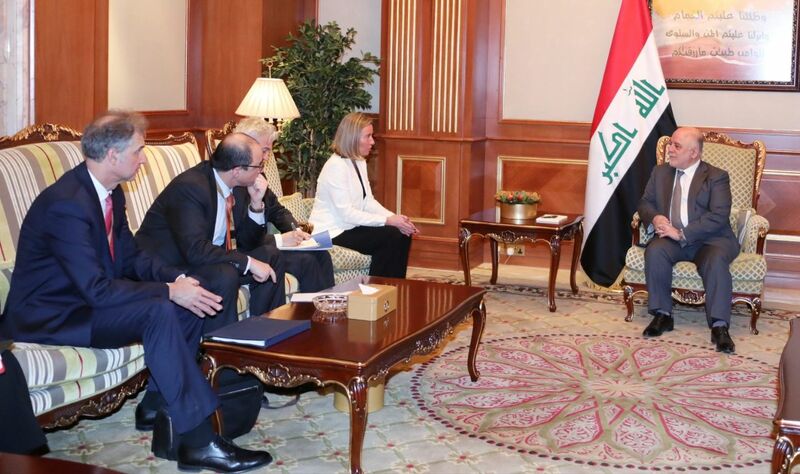 Mogherini has expressed her admiration for the leadership of Dr. Haider Al-Abadi, commended the achievements and economic reforms achieved in his era, as well as other positive matters in Iraq.